Perfect for Halloween and fans and collectors of Horror. 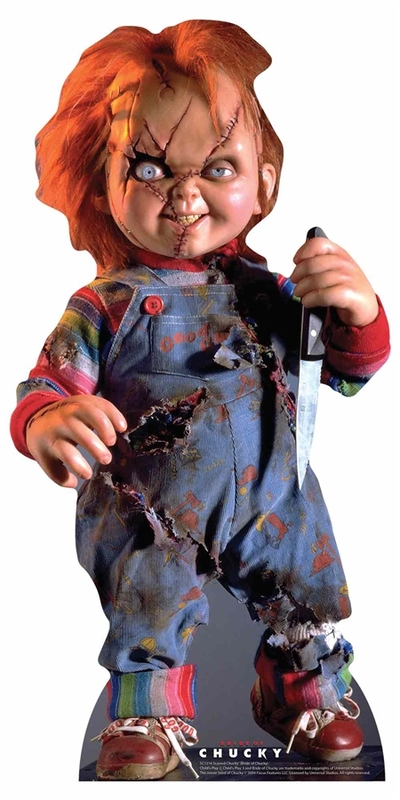 Child's Play (also called Chucky) is an American horror franchise centered on a series of seven films created by Don Mancini. The films mainly focus on Chucky (voiced by Brad Dourif), a notorious serial killer known as the "Lakeshore Strangler" whose soul is transferred inside a Good Guys doll following a voodoo ritual in order to avoid the afterlife and possibly avoid going to Hell.